Some of my all time favorite experiences in ASL have been among the hedgerows of Normandy. 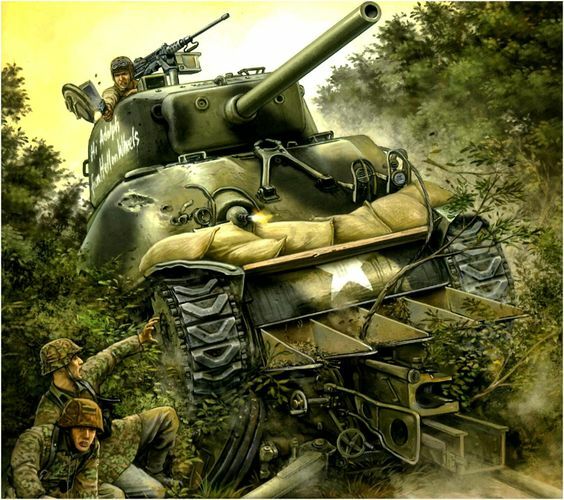 After all you have the Big Red One, 5 separate SS Panzer divisions, Panzer Lehr, US and British Airborne, 29th Infantry, etc. 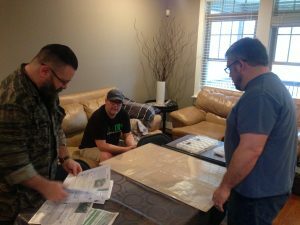 Although a little intimidated at first, I found that the bocage rules are actually quite simple and when used to their full potential, they hold many tricks and advantages to both the attacker and the defender. 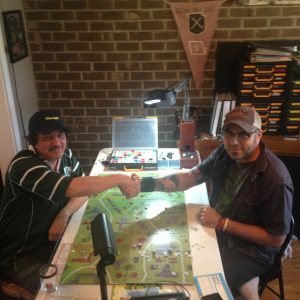 In this video I will try to cover some of the rules and nuances of bocage in order of phase that will help you breakout of the Norman countryside or push the invaders back into the sea. The Somme, Stalingrad, Okinawa, Kernersville. These place names bring fear to the bravest of warriors. 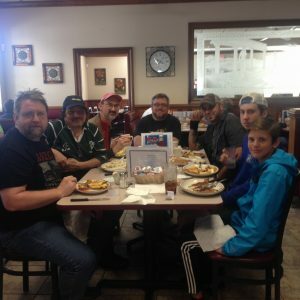 This year we had another 16 of the finest and nicest ASL players converge in the heart of the Triad NC to face off in four days of bloodshed and burning steel. New to the group were Jeremy Busby, Mike Rickman and John Dober. 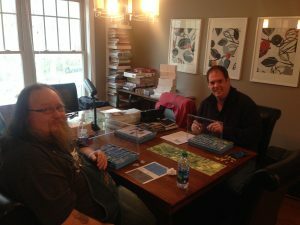 John has been a long time friend from ASLOK but this was my first time meeting Jeremy and Mike. I cannot stress with more sincerity that all three were a perfect fit for the fun friendly spirit that this tourney tries to convey. I look forward to seeing them again next year or sooner. The teams were drafted by captains who were awarded the honor for no other reason than being the first to arrive. Hayes Wauford got first pick followed by Kevin Conley, followed by myself. We tried to pick players to our teams that we have regular opportunity to play so that we could play new people on the opposing teams. Scoring is calculated with a +1 for a win and a -1 for a loss. The team with the highest + is the champion. The two players with the highest individual + play in a championship game. Team ‘Ken’s Mom’ took an early lead and never looked back holding on for the win with a +9. 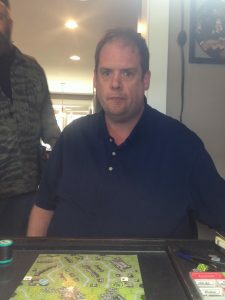 John finished with a 4-0 record and I finished with a 5-0 record so we faced each other on Sunday for the individual championship game. Here are the team names, players and final +/- standings. Conscripts: -3. Hayes Wauford (-2), Mike Rickman (-1), Mika Harvalla (0). Sandy O’Neil (0). Col. Klink: -6. Kevin Conley (-1), Dave Stephens (-1), Ken Knott (-3), Jeremy Busby (-1). Ken’s Mom: +9. Derek Ritter (+6), John Dober (+3), Tim Brieddy (+2), Ray Woloszyn (0), Jeff Jordan (-2). Jeremy Busby, instant old friend. 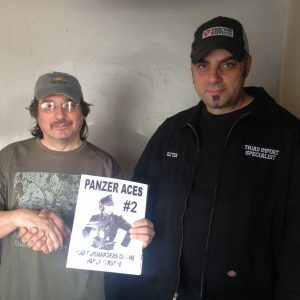 John Dober with the elusive Panzer Aces #2 prize. With Flame and Shell for the title. Sunday Morning Breakfast (No, that’s not coffee in Mika’s cup).